Two hundred women from rural Vanua Levu are direct beneficiaries from a donation of more than $15,000 from ANZ Bank to Fijian charity Live & Learn. ANZ raised $15,269.51 through its Five to Thrive leadership challenge, where staff across ANZ globally are invited to commit to five leadership behaviour as daily habits. With every challenge completed, ANZ donates AUD $20 to a project. The donation will be used by five women’s groups in Batiri, Narailagi, Vatuvonu, Drawa and Lutukina to set up new businesses. ANZ says there are 1000 indirect community beneficiaries to the fund, where women will effectively engage in community business initiatives, women will effectively engage in community economic decision making and whole communities and families will benefit from women’s improved financial literacy status. 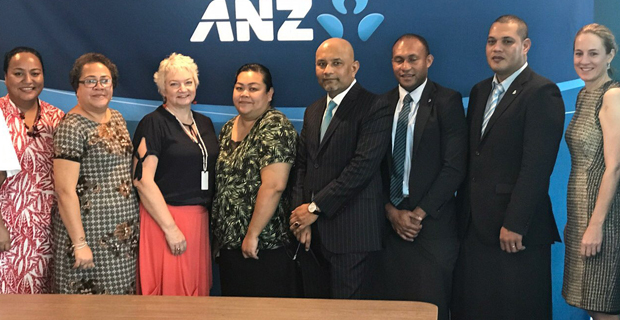 ANZ Fiji Country Head Saud Minam says ANZ is pleased to strengthen partnership with Live & Learn through their flagship financial literacy program, MoneyMinded, and to continue supporting their financial inclusion work with the villagers of Drawa. Minam says more than 9,000 Fijians have participated in MoneyMinded which was made possible by ANZ staff volunteers. He says independent research has confirmed that MoneyMinded is making an impact and ANZ will continue to support financial literacy in Fiji because they believe that investing their efforts in this area is important.